Over the last three decades, any release of any new album featuring guitarist Syran M’Benza has been an anticipated event for me. 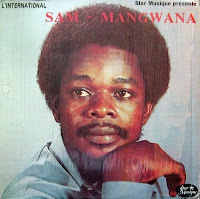 Like many people outside of RDC, the former Zaire, I first heard Syran's guitar on the albums of Sam Mangwana’s African All Stars. 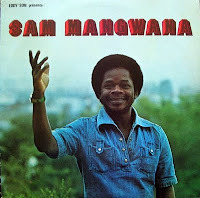 Although Sam Mangwana has had a huge effect upon the career of Syran M’Benza, it has been Franco, Luambo Makiadi, who has provided him with the greatest influence and inspiration. Syran M’Benza’s career has been outlined nicely in this concise article by C.C. Smith of The Beat magazine. This series of posts will attempt to illustrate in pictures the huge number of albums that Syran has contributed to over the past 30+ years and will, hopefully, illustrate with music just why this man’s personal style – much influenced by the personal style of Franco – has made him a much-sought-after solo artist, colleague, collaborator or session musician. These posts are my tribute to Syran M’Benza. You are invited to add any information that I have omitted or point out any errors that I have made. 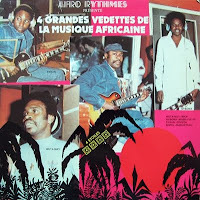 The first real “name” band that Syran M’Benza worked with was Vicky Longomba’s Lovy du Zaire. Rare recordings of that band with Syran on board have been, to date, impossible for me to obtain. 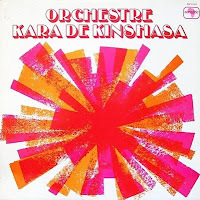 Artists from this band would, with others, make up a new band, Orchestre Kara. In this band along with Syran was guitarist Pablo Lubadika and singer Djo Mpoyi. While Djo Mpyoi joined OK Jazz in 1978, both Pablo and Syran were lured to Lome and Abidjan by hopes of better financial circumstances than were available in Kinshasa at the time. Syran joined Sam Mangwana and the African All Stars. The first in a series of really big hits for this band was Georgette Eckin’s, followed quickly by Souzana Koulibali (Coulibaly). 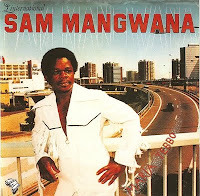 In the next couple of years, the band would split into two parts, Mangwana’s faction, including Syran M’Benza, released a small number of very successful songs. 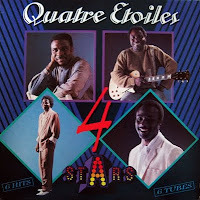 In the early 1980s, a group of artists from both factions of the African All Stars and others, all of whom had made their way to Paris, united to form Les Quatre Etoiles. 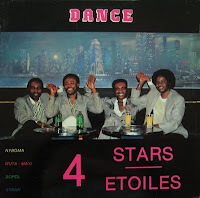 The Four Stars were Syran M'Benza, Wuta Mayi, Nyboma Mwan Dido and Bopol Mansiamina. 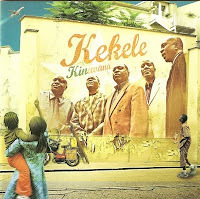 This group, with the winning combination of experienced and innovative musicians created a signature style of Congolese music that was both authentic and accessible to the western ear. 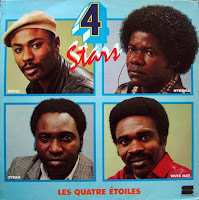 Many of my own countrymen were introduced to Congolese music by the recordings of this band. 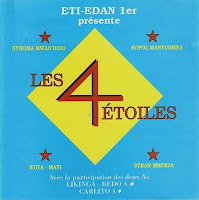 Included in the compilation is one song from each of these albums by Les 4 Etoiles. 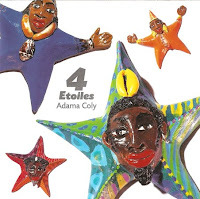 4 Etoiles recorded a couple of nice live albums, but in the ineterest of space I have not included those on this page. 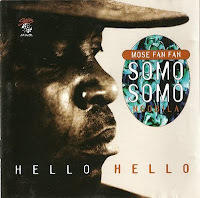 Another band with which Syran M’Benza worked was Somo Somo, a group led by Fan Fan another guitarist who had worked with Vicky Longomba and who would go on to join OK Jazz. Somo Somo was dispersed and reassembled with a varying lineup a number of times. Syran M’Benza was in the original Somo Somo and later rejoined briefly in 1995 with the other members of 4 Etoiles for a comeback album called Hello Hello. Although we hear Syran’s name called out prominently before his striking solo on the title track, I am very partial to the song Ndemdeli, so I have included that one here. 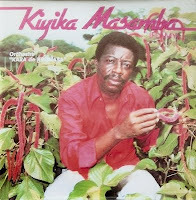 Before forming his new Ensemble Rumba Kongo, Syran joined up with a number of veteran singers, friends and colleagues from his long career, to form the group Kekele. 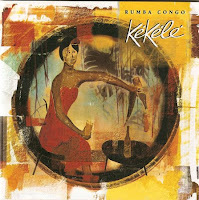 In today’s era of flash, bling and incessant trendiness, Kekele have been the true champions of a Congolese rumba revival. It may or may not be coincidence, but the rise of Kekele on the international scene has come with an increased interest and marketability of many classic African musical genres worldwide. 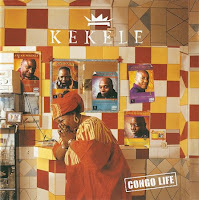 Kekele have recorded three outstanding CDs. The last three track in this compilation are one apiece from each CD. Next Post: Solo albums and other ventures. Played this in the shop today; the folks there loved it! Look forward to sampling the next episodes. Thanks! Where is your shop? Is it a record store??? That would be a dream come true, I guess, but actually it's a small X-Ray tube mfr in suburban Chicago. We employ a number of very skilled artisans (glass workers), who are Hispanic and seem to be a bit more receptive to African music than the rest of my friends. Pues, por favor pase a ellos mis saludos! Get this - I noticed the absence of a Wikipedia page on Syran Mbenza, who's arguably the best guitar player anywhere, played on hundreds of great records, incredible distinctive sound with those fast high-pitched melodic runs, one about whom the BBC's Simon Kershaw said Eric Clapton is not worthy to tune his guitar strings. So I made my first Wikipedia page, a short factual description of him, numerous citations including to your 4-part series, and submitted it for publication. Wikipedia's response: "(Declining submission: subject appears to be a non-notable musical performer or work)" Now there's a monumental error! Wow. You have that right. Monumental ignorance.